Who am I? What are the sacred tasks that are uniquely mine? The most basic questions in life are also the most important. You can take a powerful step toward self-fulfillment if you first recognize the roots of your spiritual makeup. 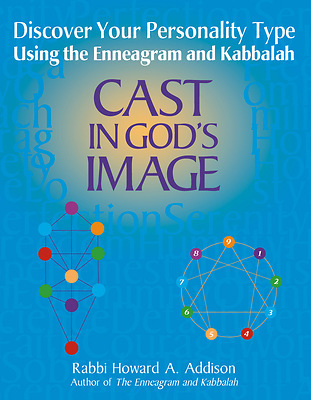 In Cast in God's Image, Rabbi Howard A. Addison helps you to do this through an understanding of your personality type and the types of the people around you. Determine your personality type by identifying your own patterns of behavior. Strengthen your relationships with others by learning how to observe their response patterns and recognize how these patterns correspond with your own. Discover how your personality type's virtues and vices, connect with the Divine, and ways you can use this knowledge to enrich your life in many ways. Including more than twenty hands-on spiritual exercises and guided meditations, Cast in God's Image gives you an accessible and enjoyable way to learn about yourself and guidance on how to use this insight to reveal the sacred tasks that are uniquely yours to perform in this world.